Parents around the world can be paralized with fear when watching the news, with school shootings and violence on the rise. Schools of all age groups in all territories seem to have become a target for violence matched only by a slasher flick. Combine this with child-abduction cases, and the school can become a very scary place for parents to send their children. Obviously, not sending our children to school would not be prudent as a society, so this would not be an adequate solution. This is why it is so critical that as a society we increase the level of security in our schools. It isn't about 'big brother' watching, but rather about protecting our children of all ages and providing the police with real-time information to respond when problems arise. Video security camera systems for schools have evolved to provide increased coverage and accessibility for not only individual schools, but also the school district. Traditionally, school security camera systems have employed analog CCTV cameras, which sent analog video to a closed-circuit recorder locked within the school somewhere. However, with additional technology advances in the past 10 years, security camera systems have increased drastically in resolution, quality and most importantly accessibility over the internet. Today's school security camera systems deliver exponentially higher resolution than ever before, with the most popular cameras ranging from 10x to 20x the resolution of traditional CCTV cameras. This can lower the cost of a system, allowing the school to use less cameras for coverage of entry doors, hallways and parking lots while still delivering even greater clarity to identify persons entering and exiting the facility. This means that school personnel will be able to more easily determine who should be permitted access, and when to sound the alarm and call authorities. These newer HD IP cameras can be easily deployed throughout the halls of the school, providing live video feed back to a sophisticated NVR recorder, which then provides motion detection algorythms for recording, and will provide access to district security personnel and police as needed. 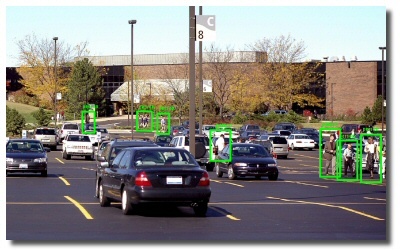 Enhanced image quality for recording, helps security personnel obtain needed data to quickly identify problems at the entrances to the school, as well as monitor traffic through the hallways to deal with disciplinary issues between students as well. When combined with a quality recording system like our AVM NVR system, school districts can obtain High Definition video recording in real time with enhanced image quality. This system can even be combined with emerging SMART cameras which deliver real-time video analytics to help identify when people are entering the building through areas they shouldn't or behaving in abnormal ways to help keep watch over the population of the school. These new SMART cameras (shown in the image to the right) can be used to easily track personnel, and set zones to configure specific alerts based on your school environment. Staying on the cutting edge of these systems allows school districts to go the extra mile in preventing unnecessary violence and loss. While our security camera systems have been remotely accessible over the internet for over 13 years (yes even in the days of the flip phone), these features have just become popular to the masses with implementations of remote access through many camera systems. However, when it comes to our schools, not only is the ability for police to access the video important, but it is even more important that these video streams are kept SECURE. Most camera systems provide a barely password protected remote access, which means that outsiders (read: potential pedophiles) could potentially tap into the video stream. Therefore, the security of the remote access is paramount, which makes our NVR systems the clear choice for school districts. These systems are fully compatible with secure VPN networks, as well as chock full of features that help ensure a level of security that will ensure the children are not viewed by unauthorized eyes. These AVM (Advanced Video Management) Systems can even alert personnel when an unauthorized (or authorized) access to the data is even attempted. Knowing that someone is trying to tap into the stream, with IP address, will allow authorities to deal with those who even try to connect to the streams, while still keeping them fully secure and away from prying eyes. 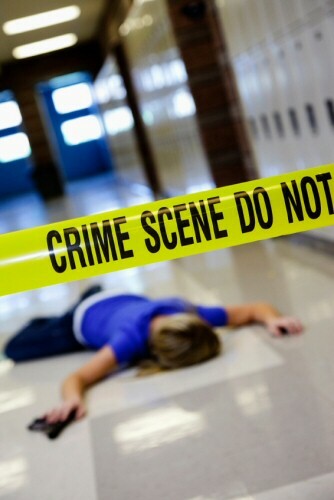 Platinum CCTV has worked with many school districts across the country to increase their video and physical security. 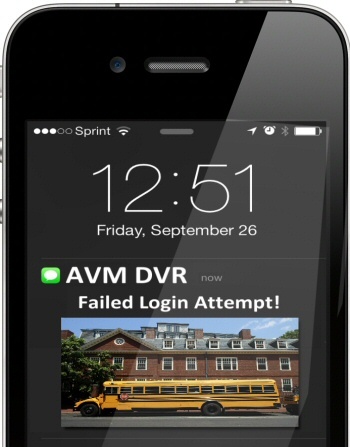 Our AVM school camera systems deliver not only higher quality video recording, but also better security for the data to prevent unauthorized access to the video. This highly advanced recorder makes securing any school easy and safe. Come see why many school districts select Platinum CCTV products and installation for their district security camera installations.